20 years since it was launched--Senju/DC developed based on NRI's many years of experience in data center system management. Consisting of six sub-systems that allow flexible configuration, visualization of the entire system and automatic operation can be done with an integrated interface. Optimal adoption is made possible by selecting only the necessary sub-systems. Defines and registers job flows, executes schedules, monitors job progress status, conducts reporting, etc. In addition to agent-less job management, automatic operation can be done without using Telnet. With over 300 types of monitoring items ranging from the overall system to details of individual servers, the system is visualized by indicating each monitoring target, event, etc. Up to 2,000 nodes can be defined to one domain. Collects messages and centralizes the management of operation and monitoring information. By setting conditions in advance, actions can be automatically executed when a message corresponding to a condition is output. Visualizes the dependency of the entire system from the viewpoint of services. Not only can the impact be quickly identified in case of an event, but this also allows managing a cross-relation between multiple domains. Allows creating graphs or analyzing trends and estimated figures from data collected through monitoring. This enables systematically performing resource management such as virtual foundations. 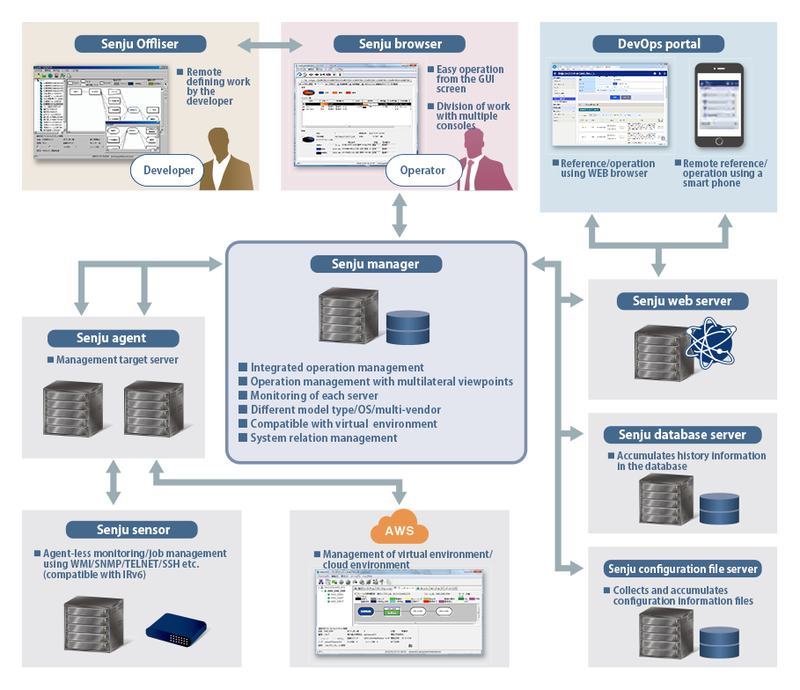 Automatically collects and centralizes the management of system configuration information. This also facilitates referencing from various approaches as well as identifying latest configuration information and change history. The relation between services and configured items are also visualized. Allows cross-sectional identification of information scattered across multiple domains. Reference from display of operation statistics (Senju Nikki) and smart phones are also now available. Transfers jobs of operation management tools by other companies to Senju/DC with an automatic conversion tool. Records the operation of the mouse or keyboard and automates GUI operation. A number of API are prepared to ensure GUI operation using VBScript. 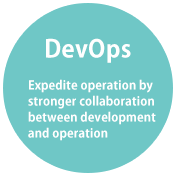 Supports operation under a hybrid environment through an unrestricted combination of AWS (Amazon Web Services),Microsoft Azure and on-premises. 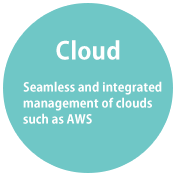 This also links with various AWS and Microsoft Azure services to execute monitoring. Installed with various functions including operation with smart phones and automatic provisioning. Manages and executes the application, approval, execution, and confirmation process of operation on the system utilizing three Senju Family products.